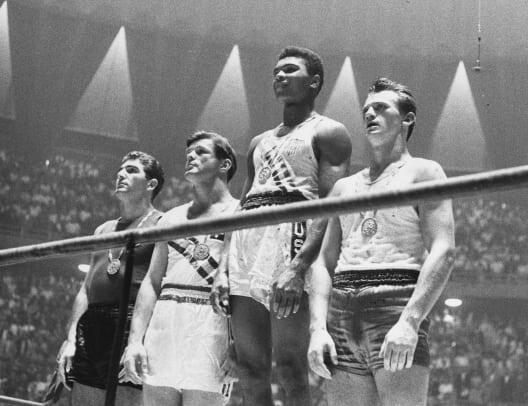 In 1961, an athlete named Cassius Clay prepared for a bout with Duke Sabedong in Las Vegas. The 10-round boxing match was the young boxer’s seventh, but his swagger and charm had already gained him admirers. 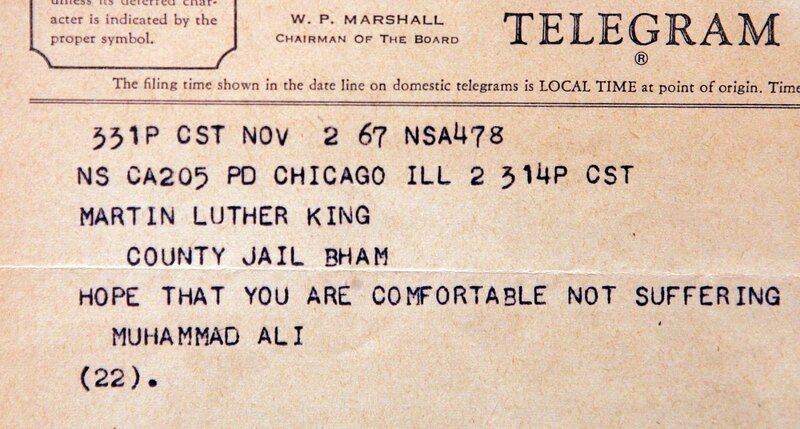 That day, the man who would soon become Muhammad Ali received a telegram from an unexpected correspondent. “Your youthful good humor, physical prowess, and flippant charm have made you an idol to many American young people,” it read. 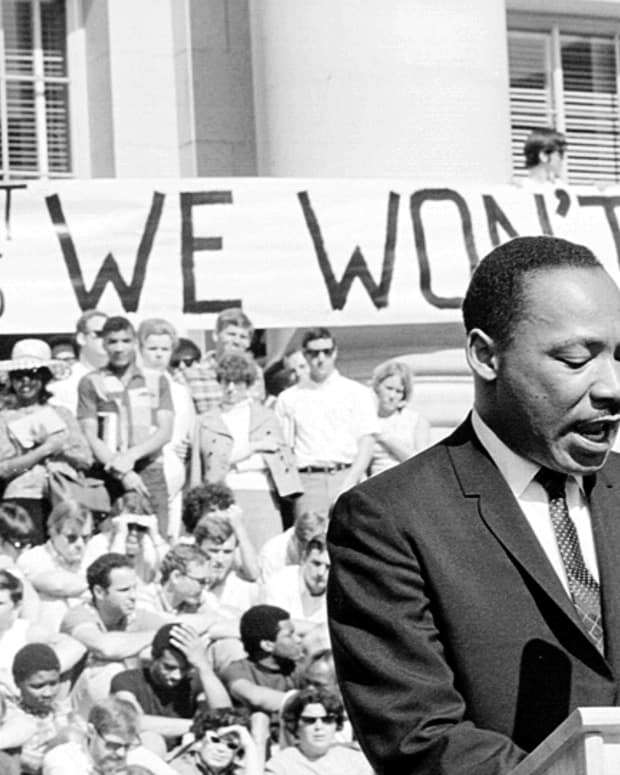 “May God protect you and your opponent in the coming contest.” It was signed Martin Luther King Jr. It was an overture to an unlikely friendship, one that took place on the stormy stage of the Civil Rights Movement. 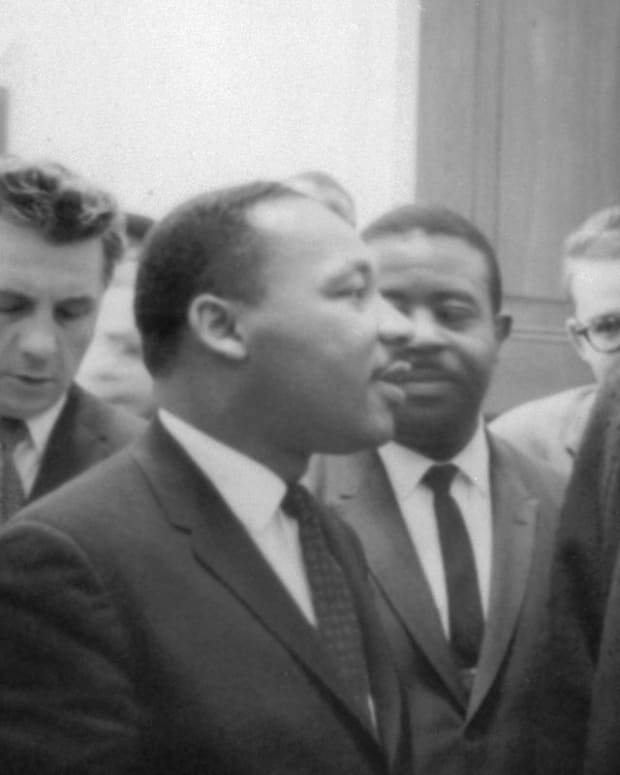 Though it is uncertain how many times MLK and Ali met during their lifetimes, they were friends. But publicly, the two men couldn’t have been more opposed — and their secret friendship was only revealed to the public through surveillance files that showed the FBI had long been following them. The bond between King and Ali was surprising: Ali was the world’s most famous boxer, and an outspoken member of the Nation of Islam, a black separatist group that preached non-integration and revolution. 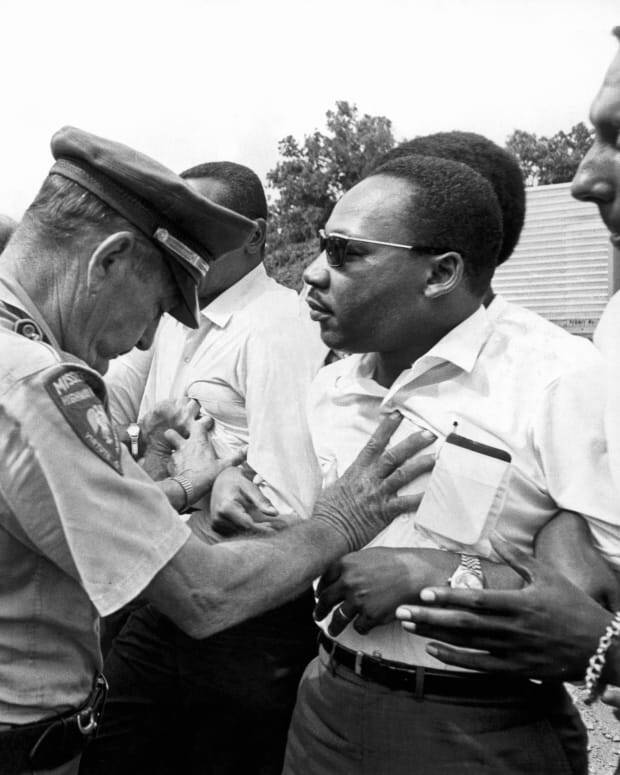 That was the opposite of King’s ideals of nonviolent protest and integration. 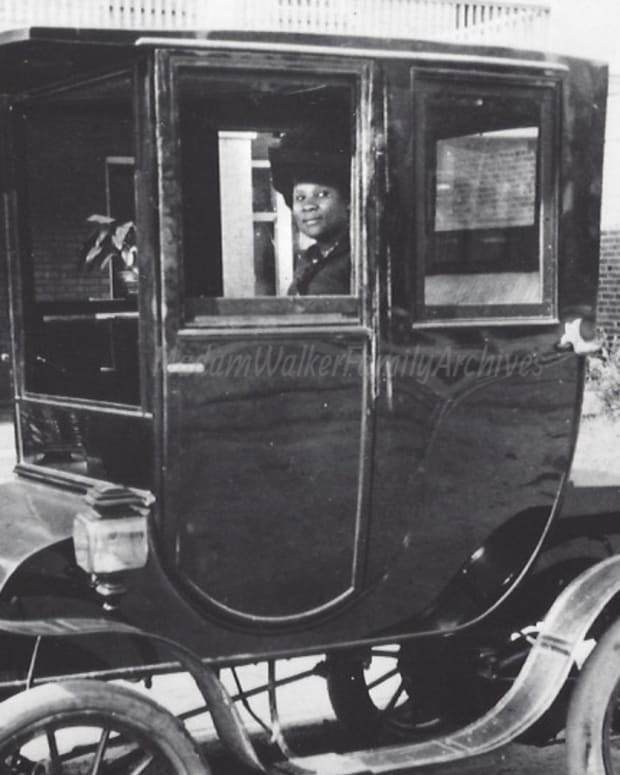 During the 1960s, the men found themselves on two different sides of a growing rift between King’s Civil Rights Movement, on the one hand, and the NOI’S turbulent vision of black power, on the other. But the men had much in common. Both had grown up in the segregated South. They were arguably the two most famous black men in America — King for his protests and preaching, Ali for his astonishing athleticism. And by the end of the 1960s, they were two of the most hated men in the United States, too. Racists branded them both with ugly stereotypes. 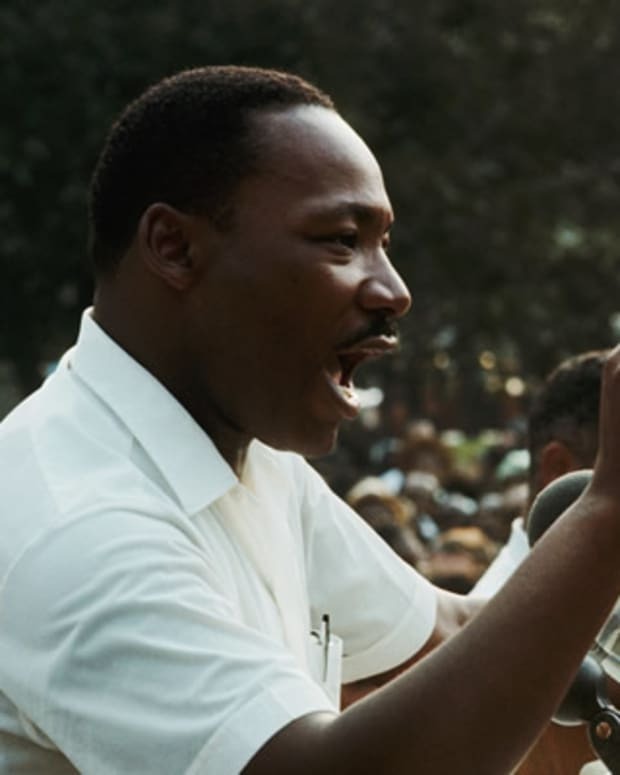 They decried King’s insistence on the dignity and worth of black men and his agitation on behalf of the poor, and derided Ali’s insistence on black pride, from his name change in 1964 to his resistance to the Vietnam War as a white man’s fight. 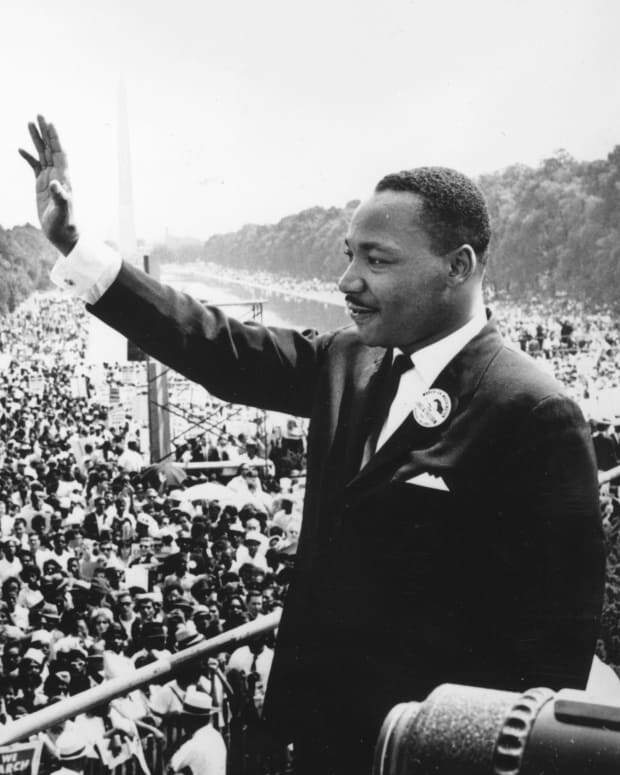 Meanwhile, King repeatedly declined to engage with the Nation of Islam and turned down an invitation by Malcolm X, the NOI’s most visible figure, to march together. 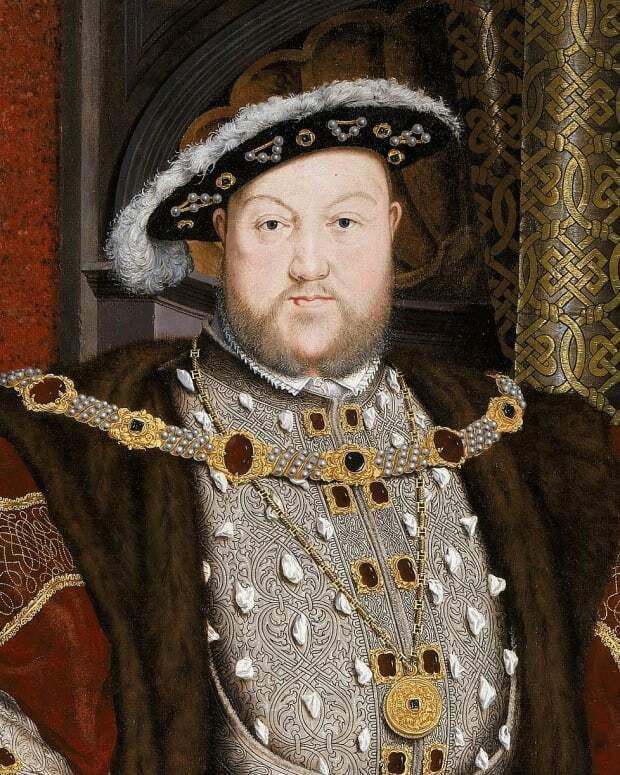 “I totally disagree with many of his political and philosophical views,” King said later. He may just as well have been speaking of Ali. 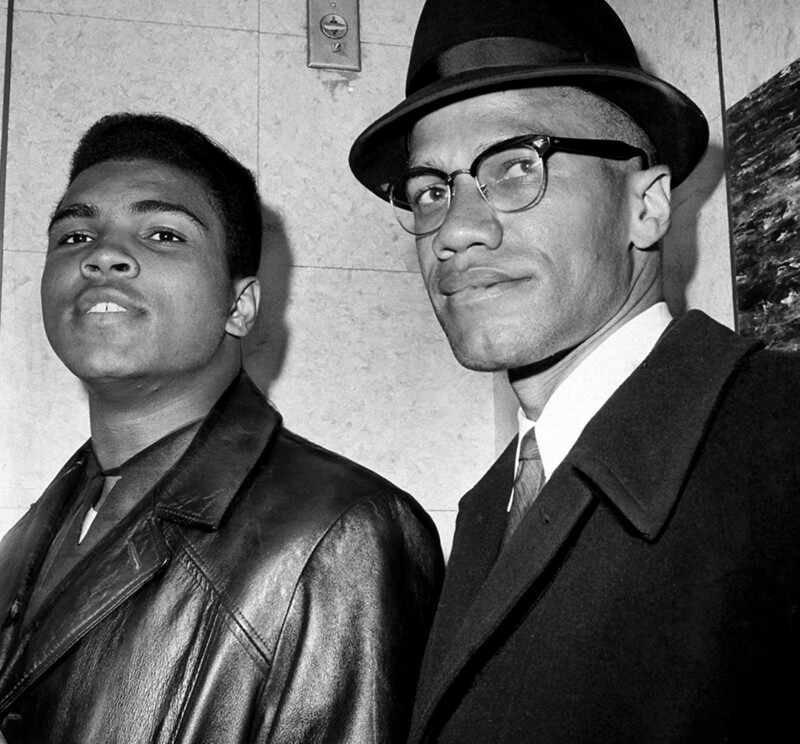 But ironically, the issue that made Ali one of the most hated black men in America brought both men together. In 1966, Ali announced that he would refuse to serve in the Vietnam War. “Man, I ain’t got no quarrel with them Viet Cong,” he said. To Ali, the war was both unethical and not his to fight. That decision ignited a tinderbox. The war was already unpopular, and men around the country had begun to dodge the draft and declare themselves conscientious objectors. 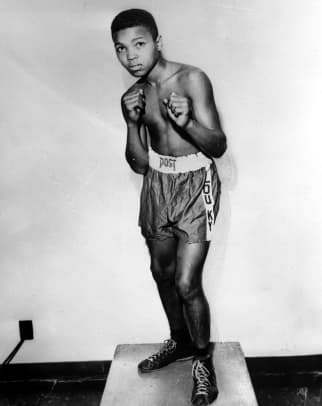 The United States tried to broker a behind-the-scenes deal with Ali, offering him a deal to allow him to serve without seeing actual combat in the hopes of avoiding his becoming a public conscientious objector. It failed, and Ali was arrested and charged with draft evasion. Ali paid a heavy price for his actions: His heavyweight title and boxing license were stripped from him, leaving him unable to box and the subject of derision and hatred from those who supported the war. 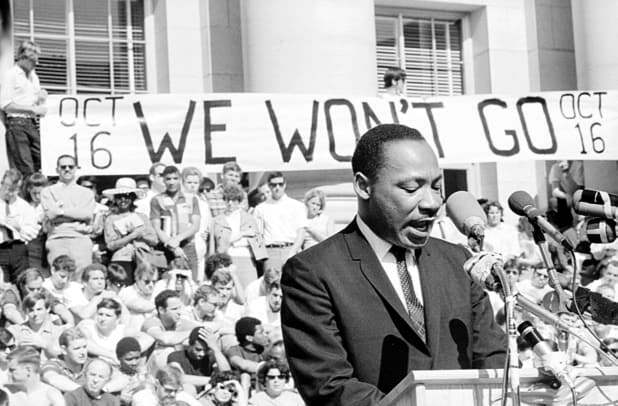 This was a change in tune for King, who had opposed the war in private but only addressed his opposition in public in 1967 after Ali took his stand. 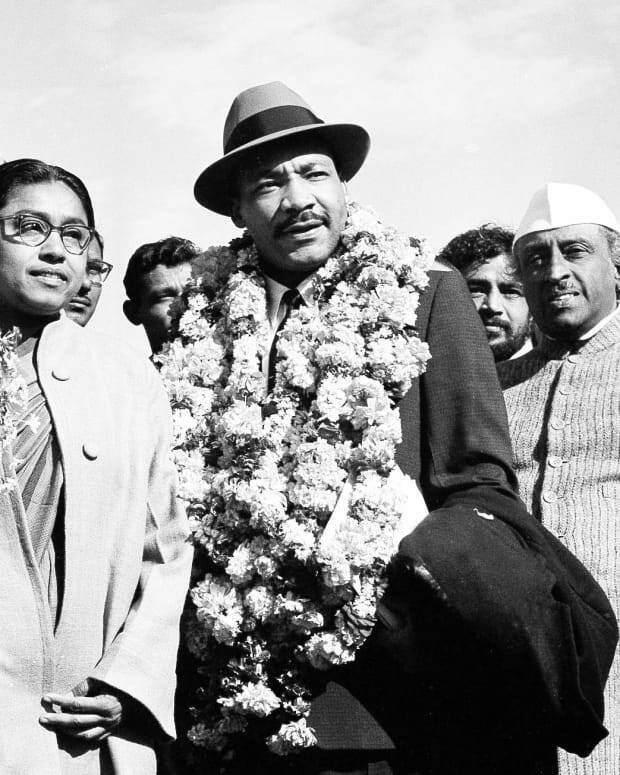 Friends later told Ali’s biographer, Michael Ezra, that they thought Ali’s public stance had helped prompt King’s public opposition to the war. King mentioned Ali to his parishioners, too. “No matter what you think of Mr. Muhammad Ali’s religion, you certainly have to admire his courage,” he said. 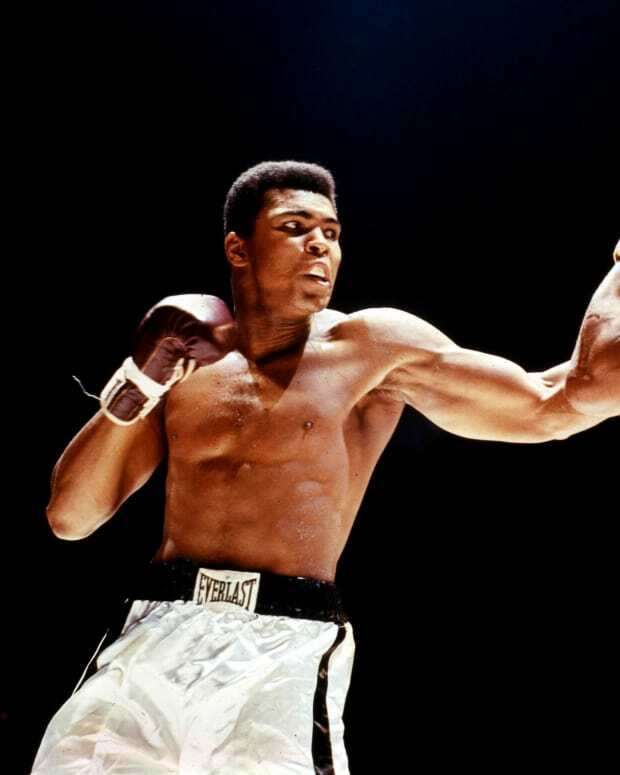 Ali called King his "brother"
During Ali’s trial for draft evasion, the men’s conversations became public during discovery materials that unexpectedly revealed the FBI had been wiretapping King’s phones without a warrant for years. 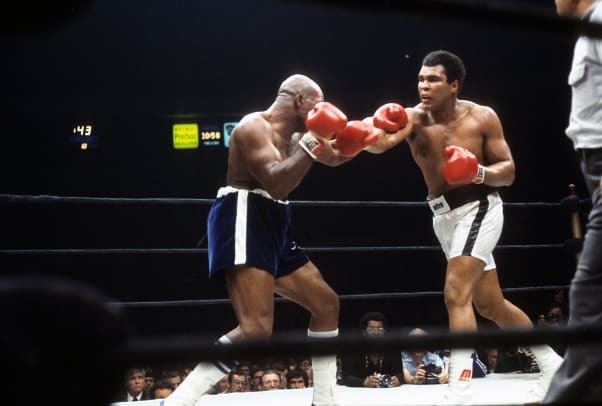 Though a judge later ruled that the transcripts of the calls did not affect Ali’s conviction for draft evasion, they were big news and confirmation of the widespread fear of both men. 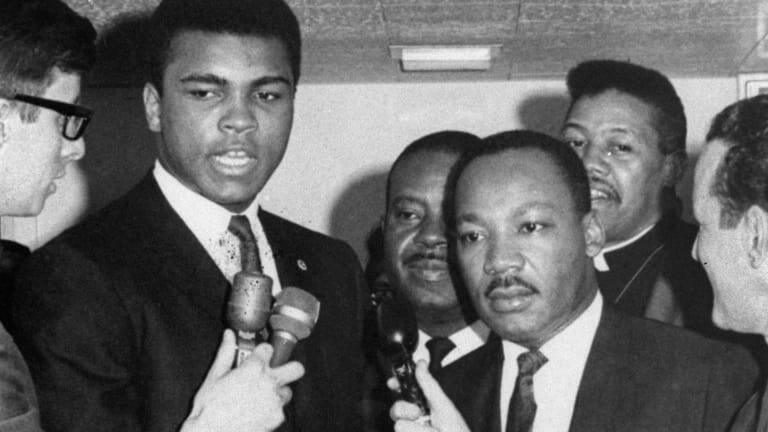 In 1967, King and Ali appeared together in public, standing together at a rally for fair housing in Louisville, Kentucky. “In your struggle for justice, freedom, and equality, I am with you,” Ali told King as cameras rolled.